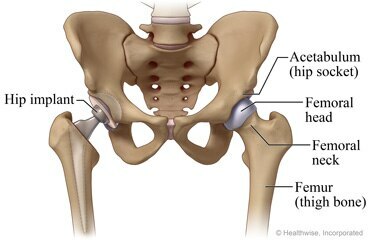 Home > Services > Surgery to replace a worn-out hip joint is very common. The usual reason that someone has a hip replacement is because they have very painful arthritis in their hip. It is also sometimes done to treat a broken hip (hip fracture) but this depends on where the hip has broken. Surgery to replace a worn-out hip joint is very common. The usual reason that someone has a hip replacement is because they have very painful arthritis in their hip. It is also sometimes done to treat a broken hip (hip fracture) but this depends on where the hip has broken.